The Green Man's face accents the graceful swirl of this Pewter Cup's handle. This Pewter Cup is a wonderful choice for the reenactor in your life. 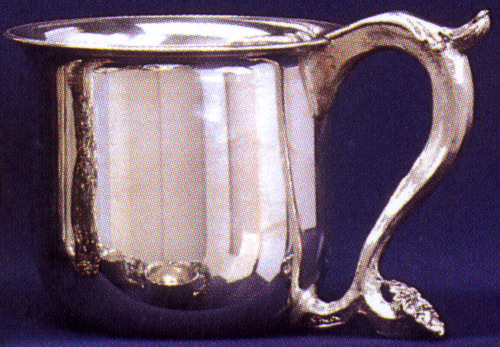 The Pewter Cup is 3 3/4 inches across at the rim, and holds 14 ounces easily. We make it by hand from lead-free pewter so it's suitable for all cool liquids.